The UK government’s Minister for Internet Safety and Security has called on leading technology companies to be more proactive in the fight against ISIS. 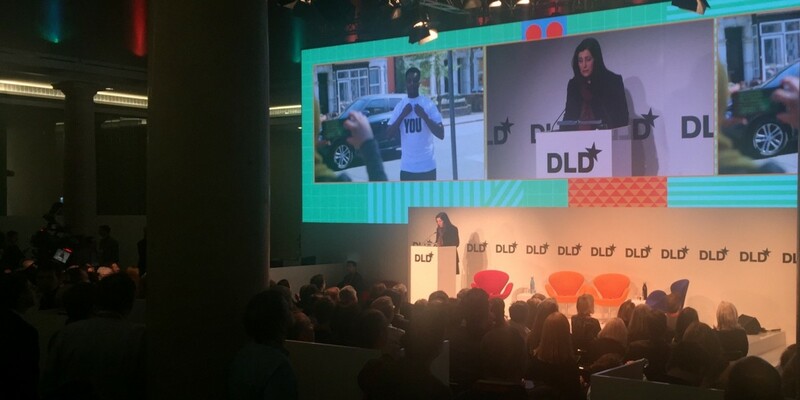 Baroness Joanna Shields, speaking at the DLD conference in Munich, Germany yesterday, said that relying on governments to identify problems and then asking for industry help “doesn’t scale.” Instead, she argued that tech companies, who know their own platforms best, should be telling the government what can be done. However, Shields didn’t discuss the controversial issue of encryption. This has been a divisive topic, with Western governments and security services, including in the UK, calling for ‘back doors’ to be built into messaging platforms so that authorities can intercept terrorist communications. Tech experts have repeatedly pointed out that back doors, once in place, can be exploited by anyone who finds them, making the internet less safe for everyone. Help with a counter-speech campaign to dampen the impact of ISIS propaganda on impressionable recruitment targets. Shields suggested that this could involve companies with their own online advertising platforms (read: Google, Facebook and Twitter) devoting resources to promoting positive messages that argue against ISIS’ recruitment tactics. Collaborate better with governments and organizations that fight extremism, such as the European Union’s Internet Forum. Create products with the protection of younger users in mind. Develop better tools to identify and remove terrorist content from online platforms, and to hep users report such content. It’s true that tech companies can do more to curtail the spread of ISIS propaganda and radicalization, and the methods proposed by Shields represent a long-term view on how to tackle online extremism. Large internet firms are likely to take more readily to these proposals than to back doors in encryption. Shields, a joint US and UK citizen, made her name as a senior European figure at Google and Facebook so it makes sense that her approach is one that would be amenable to those firms. Shields told me that the encryption debate is more an issue when it comes tackling those who have already been radicalised. She said that her talk was intended to raise awareness of just how strong the ISIS marketing machine is (she showed a clip of an incredibly slick jihadist promotional video to the audience at DLD), and to highlight just how much more needs to be done to counter that message with similarly persuasive anti-jihadi messages. In terms of moving things forward, Shields suggests it would be useful if more events took place in the mood of the hackathon that took place in Paris yesterday with a strong anti-radicalization motive, and the Techfugees conference and hackathon. Shields’ proposals, if enacted, may well help stifle the flow of people joining ISIS but it won’t necessarily stop existing members from committing acts of terrorism. Meanwhile, that lingering debate around online encryption still needs to be settled.